At the recent Fort Lauderdale International Boat Show, FLIBS, we had the pleasure of taking a few of our best private luxury yacht charter clients (and dear friends) for a stroll along the docks. The couple had recently completed the construction of another home on a lot overlooking the ocean, and they wanted to purchase a boat for weekend family outings. We looked at the latest offerings from Germany’s Fjord Yachts, the innovative expandable-deck boats by Italy’s Evo Yachts, and the trendy Holland-designed boats of VanDutch. However, the model that really caught the attention of our friends was a sleek, aluminum-hull day cruiser built by Vanquish Yachts – the Vanquish VQ54. The boat is simply stunning – there’s no other way to describe it. “It’s a little different with boats,” we said, and then we explained marine electrolysis, and the possible damage it can cause to a boat or yacht. For humans, Medical Electrolysis is a clinical method of removing individual hairs from a person’s face or body. A device is used to destroy the growth center of hair with chemical or heat energy. For boats, Marine Electrolysis is the result of potential current existing between two different objects. It is often caused by stray electrical current, and can be extremely destructive (causes corrosion) on boats made out of aluminum. The results generated by medical electrolysis are all positive – people can remove unwanted hair, and it is a permanent fix. With marine electrolysis, the results are not so good – and if not caught quickly, the corrosive effects to an aluminum boat can cause great damage (holes, water leaking into the boat, etc. ), and require expensive repairs. 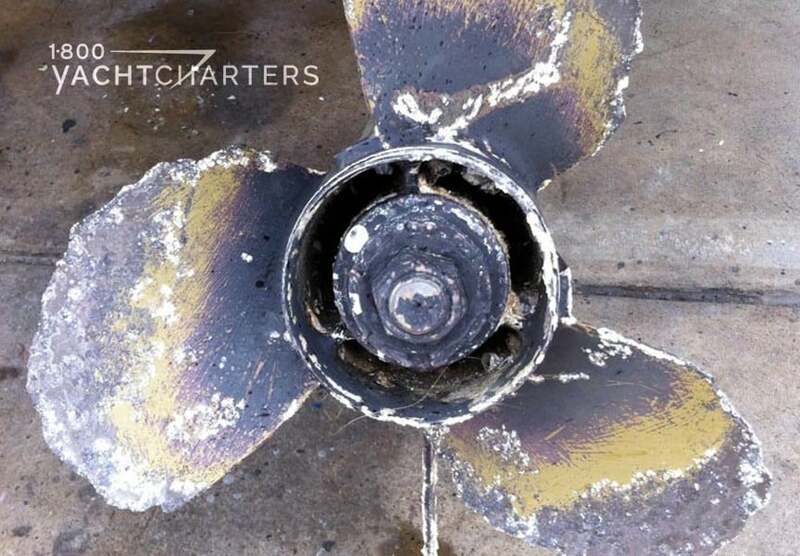 Aluminum boats are also susceptible to another related culprit – Galvanic Corrosion. This can occur when two dissimilar metals come into contact with an electrolyte and create a natural electrical current. Salt water can work as the perfect catalyst for galvanic corrosion. Using dissimilar metals on the vessel that come into contact with the salt water, like steel bolts or copper-based bottom paint on an aluminum hull. Mixing different types of bottom paint on the same vessel. Mooring boats with incompatible hull construction next to each other, such as a steel vessel moored immediately next to aluminum vessel. The answer is simple – aluminum is light, but strong (think of airplanes), and unlike yachts built from molds, aluminum yachts can be built to any size, allowing great flexibility and customization that can’t be as easily achieve with fiberglass and other composite materials. As to the corrosion issues, manufacturers can take preventative steps to reduce and even eliminate the threats of marine electrolysis. Yachts are fitted with monitoring systems which constantly check for stray electrical current, as well as anti-corrosion anodes to negate electrical issues below the waterline. Thinking about buying a yacht? Consider our, “Try Before You Buy” program and rent the yacht for an extended “test drive” – on your own private luxury yacht charter vacation. Up to 50% of the charter fee can be applied toward the purchase of the same yacht model. For more information about private luxury yacht charters or purchasing a yacht through the 1-800 Yacht Charters’ Try Before You Buy Program, email 1-800 Yacht Charters at info@1800yachtcharters.com or call us at 305-720-7245. 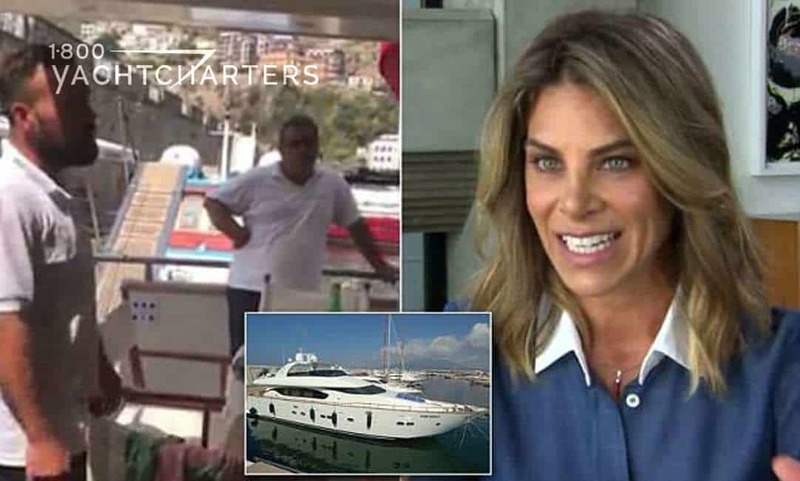 Recently, fitness expert Jillian Michaels took to social media to recount what she described as a disastrous Italy private luxury yacht charter vacation. Michaels recounted arriving to find the yacht, “…not only filthy, but it had no hot water, no air con when not docked, no wifi, partial electricity, it was clearly in total disrepair.” Via Facebook, the fitness guru warned her social media followers to beware of online scams. “These scams are becoming extremely prevalent…so be careful when you are dealing with rentals of any kind,” she wrote. *Was this a scam? In our opinion – NO. *Could more have been done to avoid what the press has coined as a “Vacation from Hell?” ABSOLUTELY!!!!!! In fact, that charter broker’s actions were scrutinized by the Ethics Committee of the Charter Yacht Brokers Association. The Committee unanimously found the broker acted in good faith and did not commit any ethics violations. Clearly, however, something went awry for the charter to end after just 4 days of an expected 12 day trip. Exactly what happened is still not clear, as both sides are pointing the finger at each other. Michaels feels she was duped, while the charter brokerage asserts Michaels was in violation of her charter agreement. 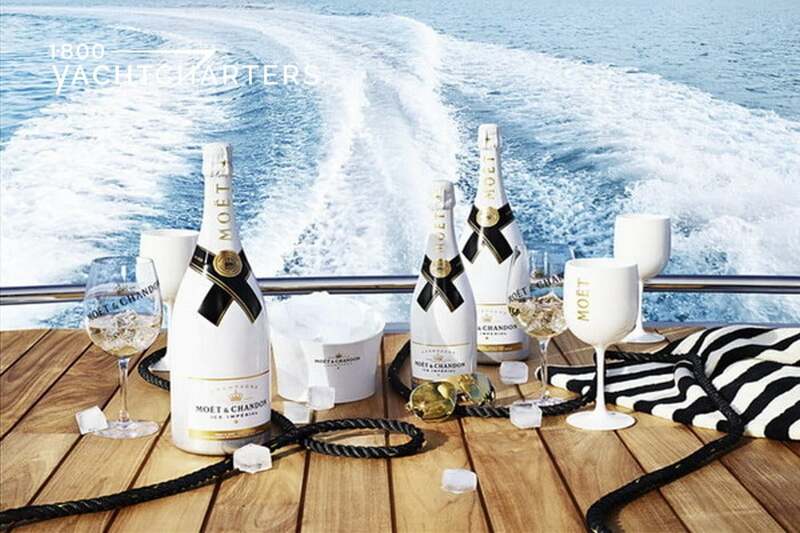 Many charter brochures feature beautiful photos or videos of the charter yacht. But how do you know when the photos were taken or when the video was shot? Winter is just around the corner. Take advantage of pre-season specials on yachts based in the sunny Bahamas, South Florida, and the Caribbean. Your private yacht charter holiday is only a phone call away. 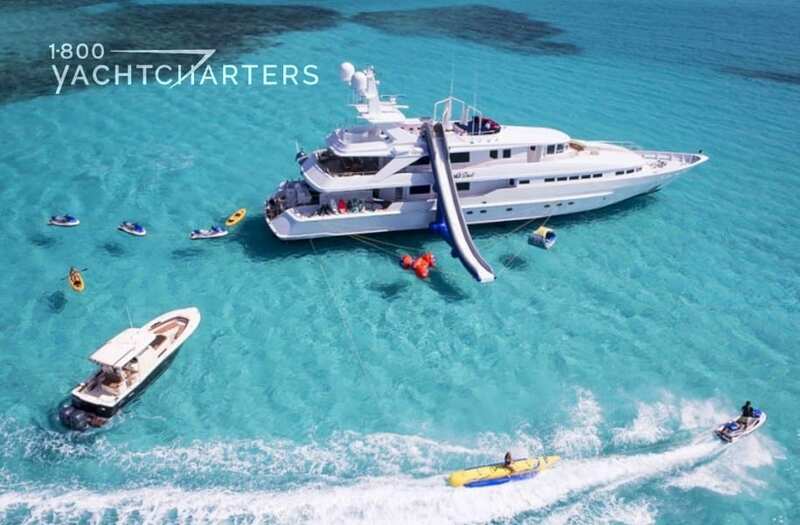 Call 1-800 YACHT CHARTERS [toll-free north America +1.800.922.4824 or international +1.305.253.7245] for more information, or email: info@1800yachtcharters.com We are eager to plan The Superyacht Experience for you. Since 2015, Lawrie has operated Mango Mango Yacht and Villas Services, on the island of St Barts in the Caribbean. Lawrie is a yacht agent, a rather non-descriptive title, but an integral participant in most private luxury yacht charter trips passing through St Barts and other nearby ports of call (e.g. Nevis, St Kitts, Anguilla, etc.). A yacht agent’s services include assistance with immigration and port services, banking, provisioning, charter guest and yacht crew concierge services, medical arrangements, and yacht parts purchasing. 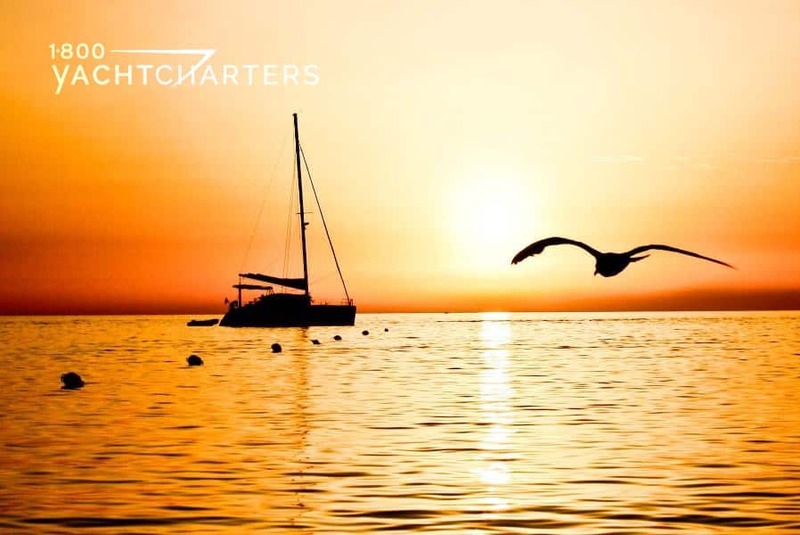 Jana Sheeder, President of 1-800 Yacht Charters, explains the vital role yacht agencies like Mango Mango play in the yacht charter industry. This is where Lawrie and Mango Mango excel. Many important details are handled by yacht agents. 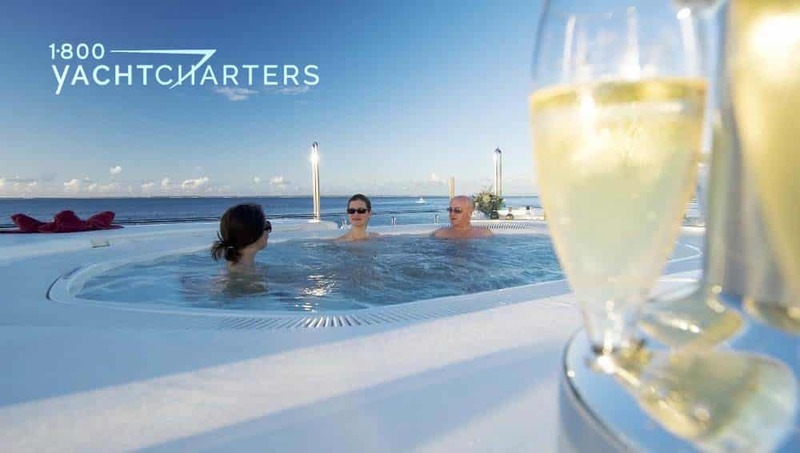 When performed well, it’s a seamless, professional process – invisible to the charter guests. All the charter guests see is an empty slip in a marina, ready for their arrival. As they disembark, a driver is standing by, with a car or limousine – ready to take them where they want to go. 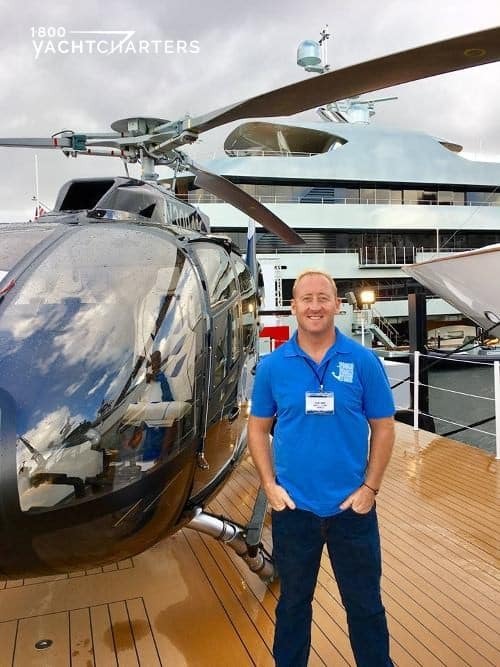 There’s no need for charter guests to stand in line at the local customs office, because Lawrie has already cleared the passengers, using passport details forwarded to him via email by the yacht’s captain. Fuel and fresh provisions will be delivered to the yacht, so when the charter guests are ready to depart for the next port of call, the yacht and crew are ready to go. 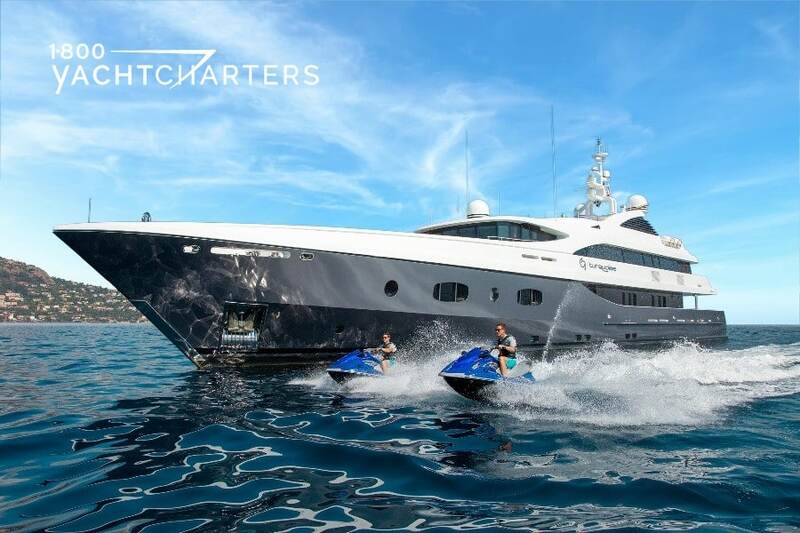 To plan your Superyacht Experience on a St Barts yacht charter vacation, contact 1-800 Yacht Charters at 305-720-7245 or via our convenient online form at https://www.1800yachtcharters.com/book-now-contact-us/ . Hurry. Yachts for your Caribbean Yacht Charter holidays are booking quickly! €50,000/wk (June/Sept) and €60,000/wk (July/Aug). 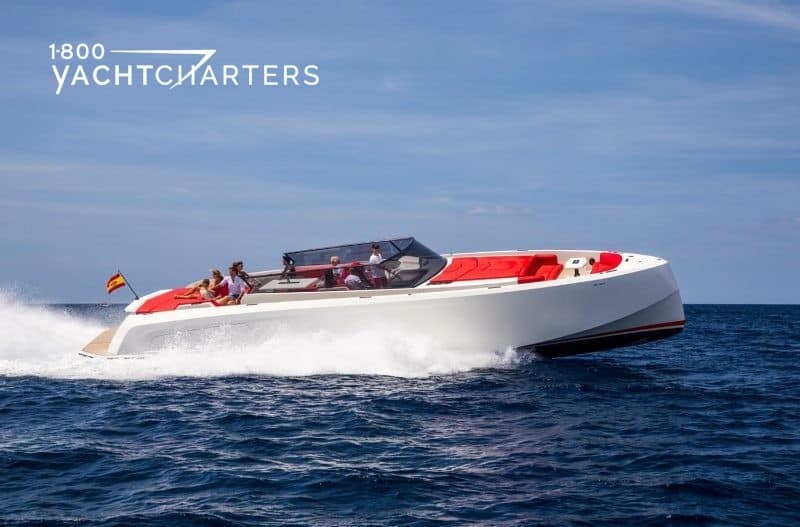 We had just secured a private luxury yacht charter reservation on the 37m motor yacht ELENA NUEVE this week – a yacht managed by Nicolas Fry at Camper & Nicholsons International. 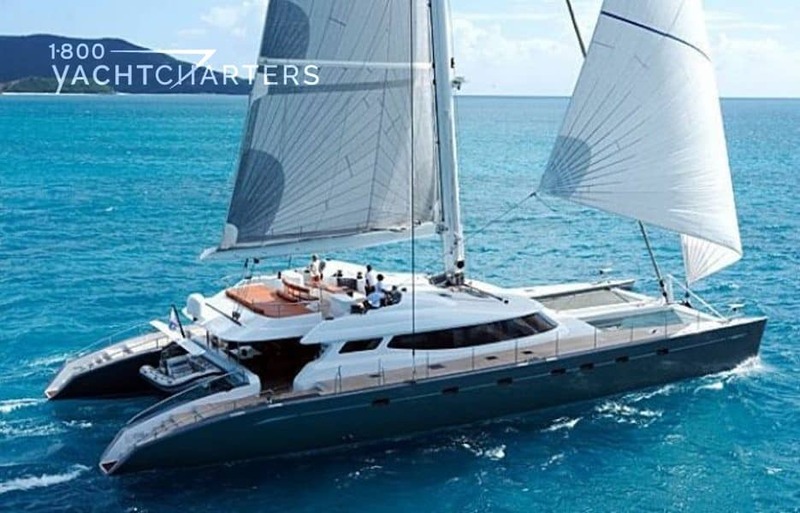 No sooner had we turned in the charter contract, then Nicolas sent us an email touting a big, beautiful catamaran in his fleet – the sailing yacht ALLURES. I guess Nicolas hopes we’ll put more emphasis on booking SAILING yachts in the Med! ALLURES is getting ready for a successful charter season in the West Med. Based in the South of France, she is still available in April, May, June and September 2017. Luxurious charter yacht with impressive deck space and comfort, ALLURES is one of the largest and fastest, all carbon-sail catamaran in the world. She provides a high level of comfort and safety with access to shallow waters. -16 to 30 August, Bonifacio/Saint-Tropez. Nicolas knows many of our clients prefer motoryachts for the luxury yacht charter vacations, but we are certainly excited to promote high-quality sailing yachts whenever the chance arises. Sail yacht ALLURES is certainly at the top end of sailing yachts in the charter market. Built by Composite Works in France, this is a performance yacht that really, “gets up and goes” when the wind is blowing. If you’re wondering if that means a bumpy ride – put your worries to bed. Catamarans have two hulls which gives them an enormous beam (width). The wider the yacht the more stable the vessel, especially when at anchor. Of course, at 100ft, this is indeed a superyacht, and her overall design reflects this pedigree. Her chic Italian interior is brimming with beautiful wood and leather furnishings. She accommodates eight guests in four impressive staterooms. Every stateroom with a direct view to the sea. Our favorite onboard features are the two convertible staterooms. 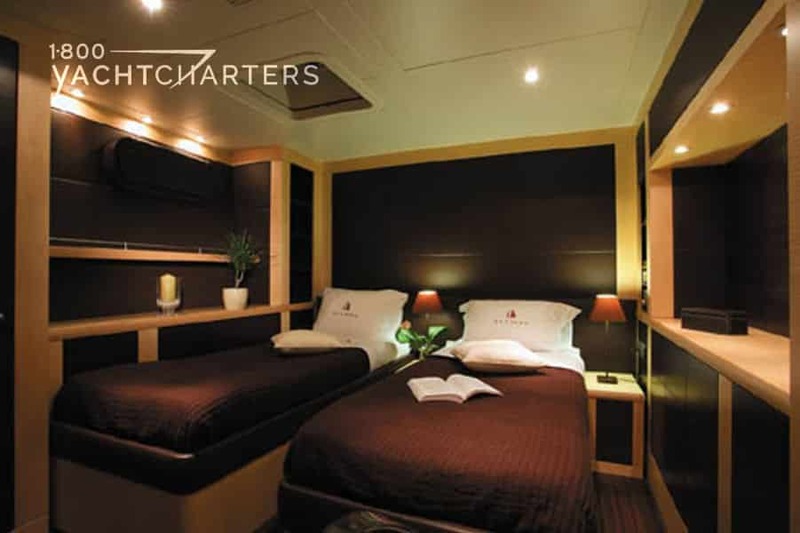 These double cabins can easily become twins (each with single berths). This unique (and oh-so-flexible) layout ensures the yacht can comfortably accommodate charter parties of families, friends and/or couples.